Eucalyptus and Honey Lollies are a sweet hard boiled lolly with a refreshing taste and individual wrapping. Made by Australian company Johnsons, they are great in Winter if you’re coming down with a cold. I have also been told they help with pressure in your ears when flying during take off and landing. 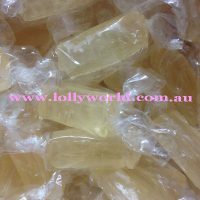 Eucalyptus and Honey Lollies are a sweet hard boiled lolly with a refreshing taste and individual wrapping. Made by Johnsons they are great in Winter if you’re coming down with a cold. I have also been told they help with pressure in your ears when flying during take off and landing.